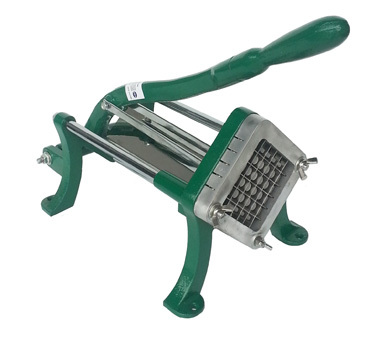 This cost friendly heavy duty french fry cutter is great for commercial or home applications. Cut up to 50 lbs of fries an hour. The rust proof stainless steel blades cut 1/4 inch size fries with ease and the cast metal body mounts to a wall or table. Make your own carnival style fries, sweet potato fries or cut carrots, celery and other veggies for stir fry.